Accesstuner Pro HL is engine tuning software created for professional tuning shops equipped with a chassis or engine dynamometer. Accesstuner Pro HL gives professional tuners the ability to tune an unlimited number of vehicles supported within the software. Maps can be locked to prevent tampering and unauthorized distribution. 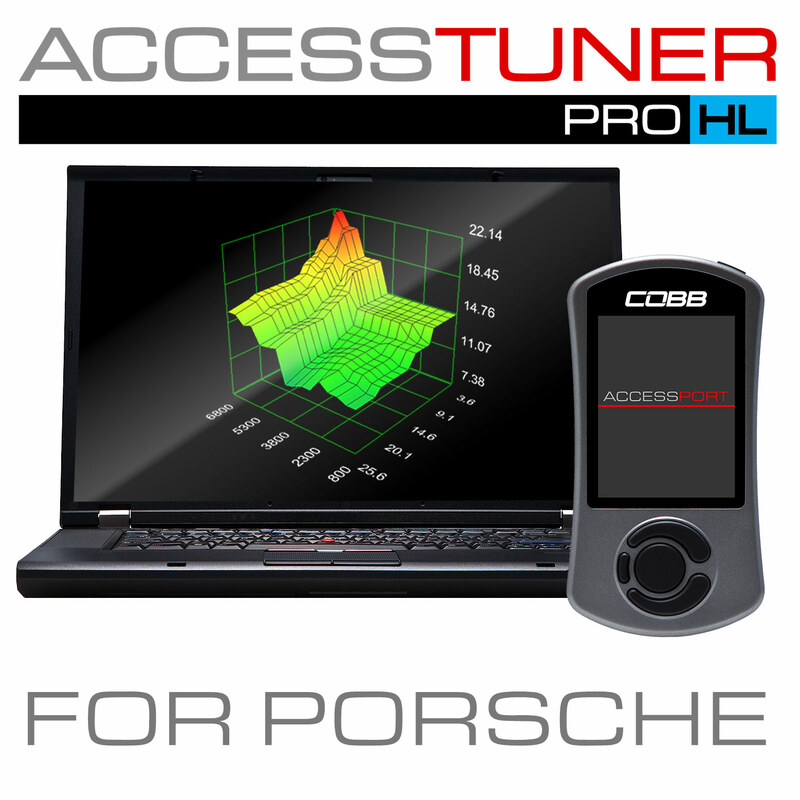 Accesstuner Pro HL offers powerful OEM ECU tuning capabilities to tune for nearly any engine modification with outstanding technical support provided by the COBB Tuning Software Engineers and Calibration Specialists that develop and use this software every day. Accesstuner Pro HL is reserved for COBB Authorized dealers only. Please follow this link www.cobbdealer.com to apply as a COBB dealer and view the Pro Tuner application details. 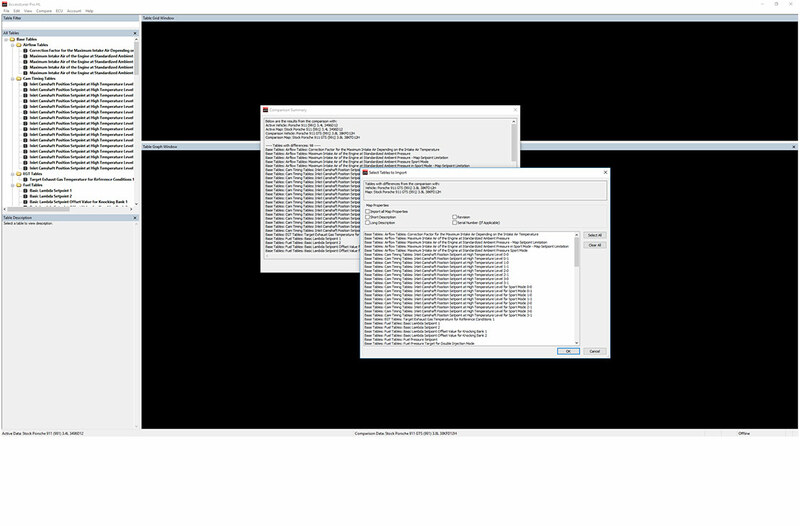 Accesstuner Pro HL is not available for Mac OS at this time. Discounts available for shops that have purchased versions of Accesstuner Pro HL for other vehicle platforms. Please contact your Wholesale Sales Manager for additional details. Accesstuner Pro HL is designed for professional tuning shops equipped with chassis or engine dynamometers to give them OEM ECU tuning capabilities to tune for nearly any engine modification on an unlimited number of vehicles supported by the software. Maps can be locked to prevent tampering and unauthorized distribution. Accesstuner Pro HL comes complete with outstanding technical support provided by COBB Engineers and Calibrators that develop and use this software every day. 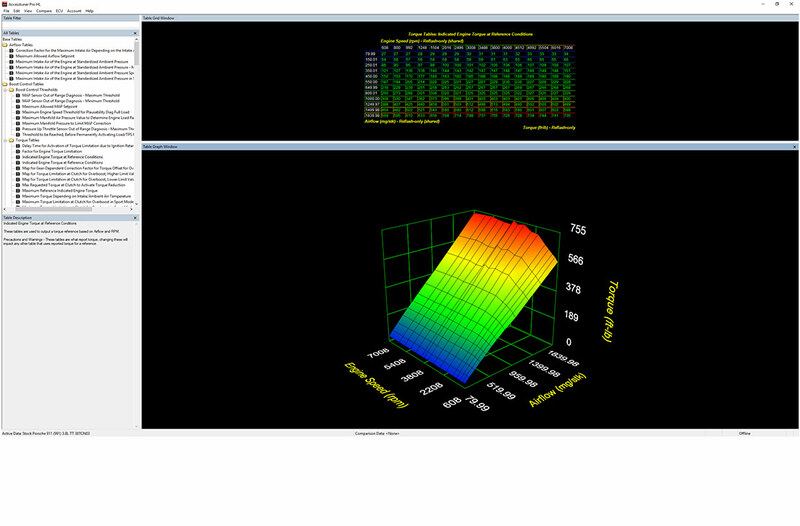 Accesstuner is capable of displaying and recording sensor data collected by the ECU during tuning sessions. 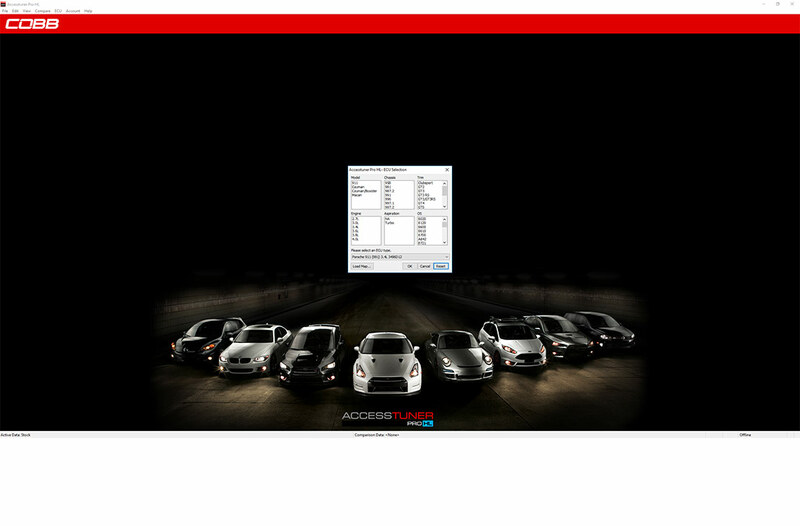 Click on this Porsche Accesstuner Software USDM Monitor Descriptions document to view a full list of Data Monitors available for the supported vehicles. TUNER AUTO UPDATER: Users can access the latest tuning software updates through the “Help/Updates menu. MAP LOCKING: Maps can be locked to prevent customer tampering, unauthorized distribution or inappropriate use. UNLIMITED VEHICLE FLASHING: Allows an unlimited number of Accessport equipped vehicles to be tuned. 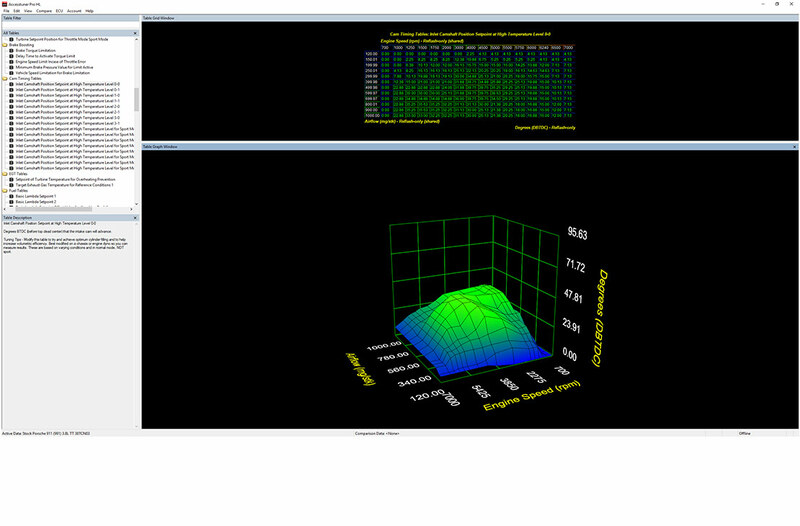 INTEGRAL DATA LOGGING: Data log of multiple channels of data from the ECU for detailed analysis of engine performance. 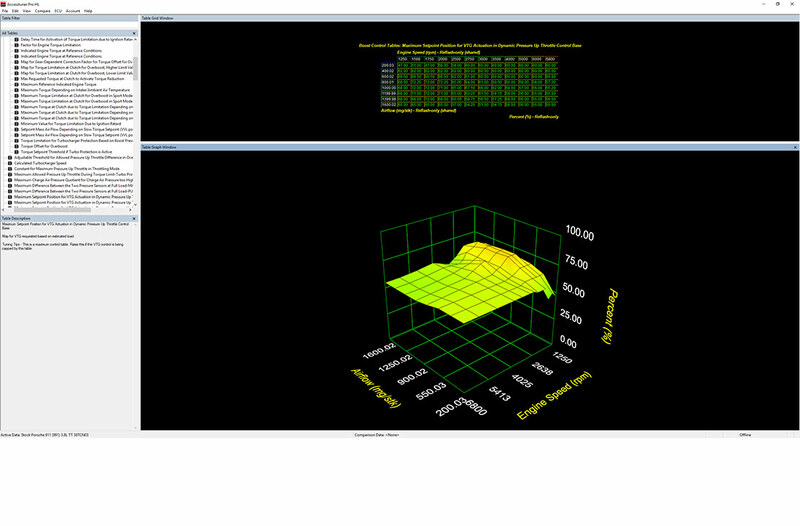 INTEGRAL DASHBOARD: Display gauges on-screen throughout the tuning process. MAP DATABASE: Free access to the Off ?The-Shelf (OTS) map database from COBB Tuning that provide excellent starting points for specific modifications. HOT KEYS: Convenient one-touch short-cut keys allow easy data manipulation of common tuning operations. WIDEBAND O2 INTERFACE: Open wideband O2 interface integrates with a wide selection of available wideband O2 sensors. TUNING DOCUMENTATION: Step-by-step Accesstuner Help File provided by COBB Tuning Calibrators explains ECU logic and procedures for properly tuning your specific application. 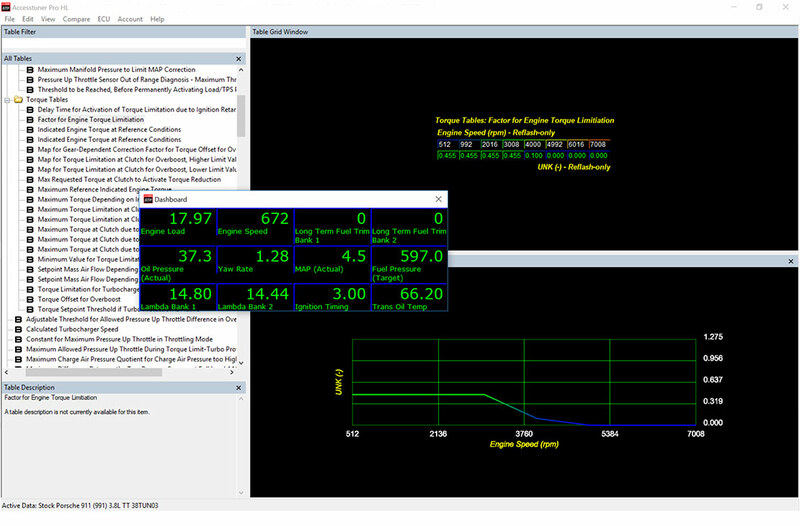 LARGER INJECTOR: Tune for larger fuel injectors to overcome OEM fueling constraints. BRAKE BOOSTING: Load up the turbo(s) to create boost for roll race events. Apply brake and gas pedal simultaneously to build boost on the fly. LAUNCH CONTROL: Tuners can adjust Launch Control tables in a map for all 997.2 TurboPDK cars equipped with Sport Chrono. VTG COMPENSATE: Bypass VTG motor restrictions for larger turbo upgrades. EGT COMPENSATE: Compensate for removing the factory EGT sensors to complete header and turbo upgrades.